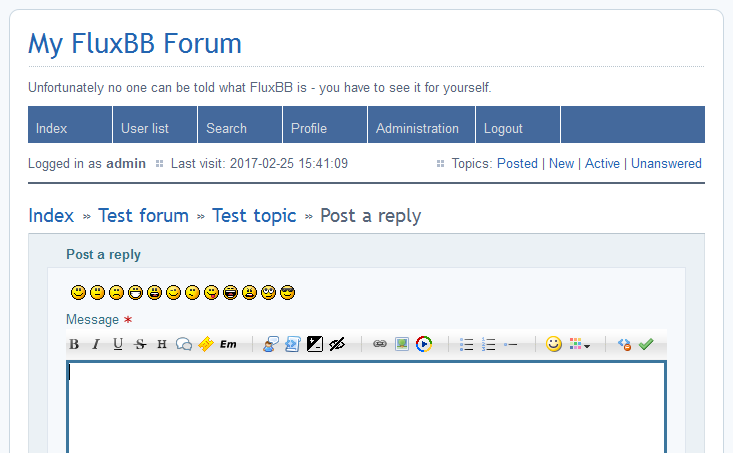 This mod adds buttons for easy insertion of BBCode and lazy loading emoticons when posting and editing messages. 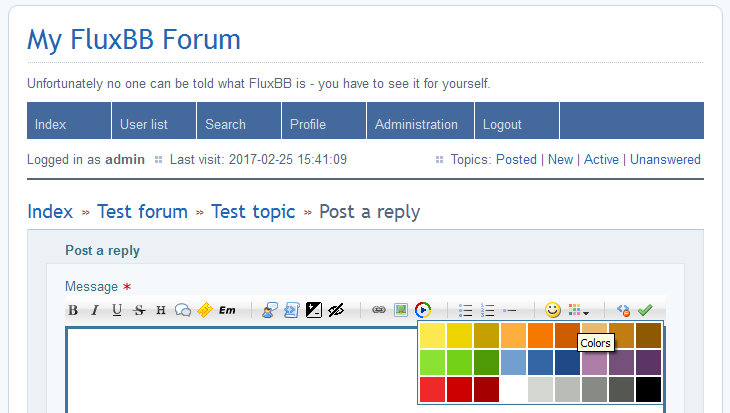 Quote back (clickable quotebox header) included. Based on: Easy BBCode by Rickard Andersson & Daris , markItUp! by Jay Salvat. Lazy loading emoticons developed especially for a large animated set of smileys.